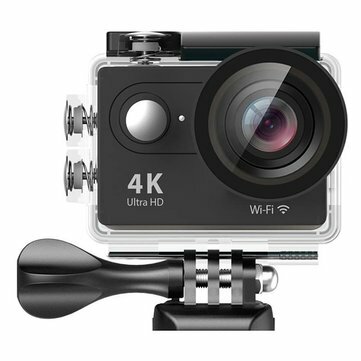 If you want the new version EKEN H9 (4K 25fps 1080p 60fps 720P 120fps) sport camera, please click here. WiFi remote control.Control your H9 remotely with your smartphone or tablet.The Ez iCam App is a content browser and live viewfinder which mirrors what H9 is seeing. 170-degree wide-angle lens captures a full view of the spectacular impact in the representation of both large scenes and special angles,and helps you capture the spectacular sight before your eyes. EKEN H9 camera has change another waterproof case type. We have two types waterproof case now and we will ship it randomly. 1. How to check if it is original ? 160627LY. (Letters vary from LY, LJ, SY, SJ, and etc.) The numbers represent year/month/date, and letters represent screen/lens type. 1. How to update my EKEN H9 ? Please send your version number to our service to ask for update software. 3.Why the authorization date starts on September 20th ? EKEN authorized the distributor (inlcuding Banggood) from October, but the date of the authorization may before October.